Welcome to Volkswagen of Bakersfield, your local Kern County VW dealer. Formerly Family Volkswagen is now a Cardinale Auto Group Dealership, our dealership have been creating happy customers for many years. 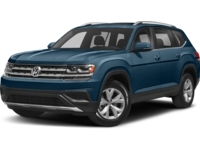 Our large selection of new, used and certified pre-owned cars, wagons and SUVs means you’ll find the Volkswagen you want at a price that will put a smile on your face. We understand selecting the right VW is an important decision. Our friendly, expert sales staff will help you find the best model for you and your family. When you’re looking for a new VW, we’re your one=stop shop. Volkswagen of Bakersfield has a large inventory of new Volkswagen, including the Jetta, Passat, Tiguan, Atlas, Beetle, Golf and more. Stop by our showroom and experience the comfort and quality that has long been the hallmark of Volkswagen vehicles. Or visit our website and view our inventory online from the convenience of your computer, tablet or smartphone. 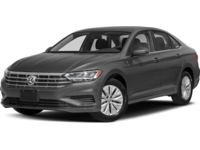 Buying a pre-owned or certified pre-owned Volkswagen is an economical way to own a great late-model car at an affordable price. Volkswagen of Bakersfield has a great selection of used VWs. All our pre-owned and certified pre-owned cars have been thoroughly inspected to ensure they meet our high standards. We don’t only sell used Volkswagens; we also carry cars, trucks, crossovers, SUVs and vans by other manufacturers, including Chevrolet, Dodge, Kia, Nissan, Porsche and more. Some are even available for under $15,999! Why Buy From Volkswagen of Bakersfield? Our customers in the San Joaquin Valley return to our dealership time after time when they want to buy a Volkswagen. They appreciate our unique people-oriented approach. Instead of trying to push cars out the door, we focus on helping our customers find the right vehicle, one they’ll love and enjoy driving for years. Our commitment to service shows in everything we do. It’s the secret to our success. When you need service, our skilled technicians are on the job. We use only genuine Volkswagen factory parts manufactured specifically for your car. Whether you need scheduled maintenance, or your VW needs repairs, we can help. We’re the experts on your car. There’s no reason to go anywhere else. So, call us to schedule your next service visit. If you prefer, you can even make your appointment on our website’s Schedule Service page. It’s quick and easy. If you live in the Kern County area, our VW dealership in Bakersfield can help you with financing to get you into a Volkswagen. The professionals in our finance department have been helping our customers obtain loans for many years. We’ll get you the right loan for your needs and your budget. If your credit needs a little help, no problem. You can get pre-qualified or approved for your loan right from our website. Whatever you need, we’re available to help. We’re open seven days a week to assist you. If you have any questions or if you’d like to schedule a test drive, call us at 866-960-8137.